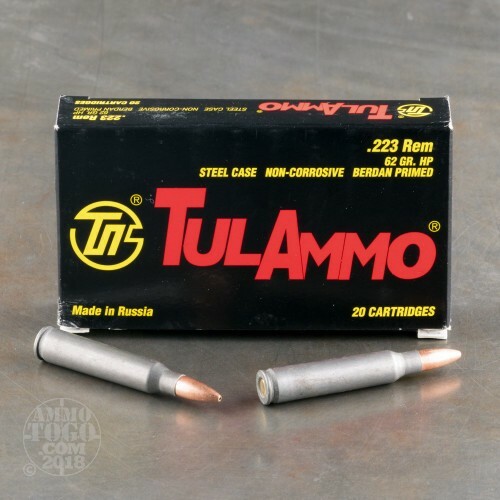 Manufactured at the Tula Cartridge Works facility, located 100 miles south of Moscow, Tula Ammo is some of the most accurate and affordable ammunition available to the modern shooter. 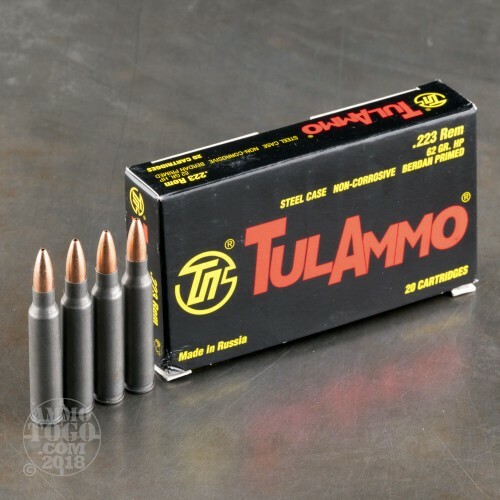 Producing high-quality ammo since 1880, Tula Cartridge Works is currently the leading ammo manufacturing facility in Russia, producing hundreds of millions of quality steel-cased rounds annually. An ideal option for long-term storage, these .223 rounds feature a polymer-coated steel that maintain integrity even under extreme weather and climatic conditions. Each round is loaded with a 62 grain hollow point projectile that leaves the muzzle at a velocity of 3025 feet per second. Bullet jackets are galvanized to produce a more uniform and consistent protective layer than the more common machine-stamped bi-metal jacket. 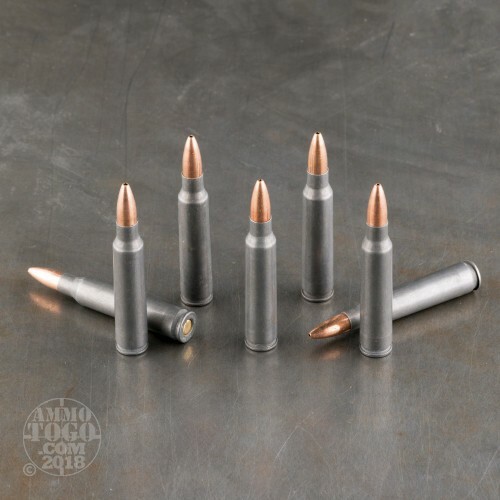 Berdan-primed and non-corrosive, these rounds are not reloadable. Use them for casual plinking or serious target practice. I live in wv. I own a savage edge 223 bolt action it lv's 62 gr. Ammo I've shoot 55 gr. 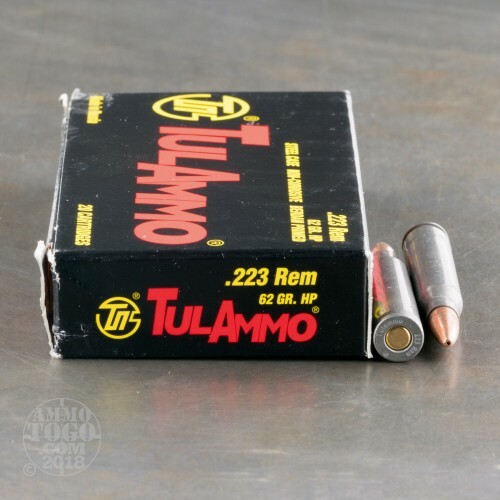 Tula ammo in it I can cut hole for hole with it never had any problem's with tula shot it in my 308 also in my book it's great ammo I'm glad now to find it in 62 gr. HP. I plan to use it to deer hunt with 7.62x39 shoot's it fine no problem's . Can't find any close were I live great stuff great price I plan too buy some. I found out a long time ago big name ammo is not the only thing that will kill game or off brand ammo is what people call it. The name is nothing as long as your gun will shoot it and it doe's the job then what's wrong. Try this u will be surprised good luck be safe it work's great an great ammo.